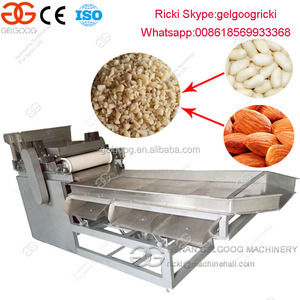 Feature of Peanut Chopping and Grading Machine: it with high production,equal size, low material consumption, low noise and no oil from the chopped peanuts. Advantage of Nuts Chopping and Grading Machine: 1. The properties to this machine are high production,equal size, low material consumption, low noise and no oil from the chopped peanuts. 3. The chopping blades cut the materials at certain speed, by adjusting the speed of conveyor, the materials would be chopped into different sizes. 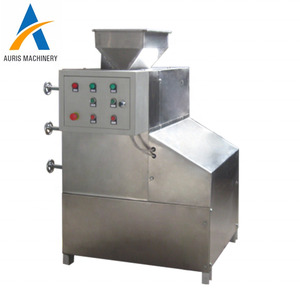 2.Multifunctional 3.Low price Almond/Peanut / walnut/sesame grinder Usage: The peanut or walnut grinder machine is used to developed specifically for almonds, walnuts, peanuts, sesame seeds, spices, food seasonings and other oily substances. 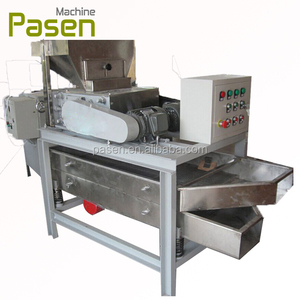 Features: 1, The peanut or walnut grinder machine casing with crushed groove are S304 stainless steel polishing and grinding processing, in line with the standards of beauty and health . 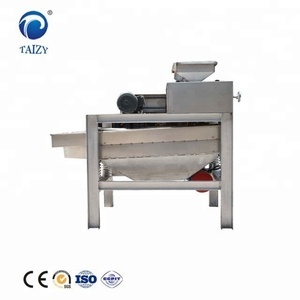 4, The peanut or walnut grinder machine&rsquo;s replacing the filter quickly and easily , and continuous feed, a feed grinder. 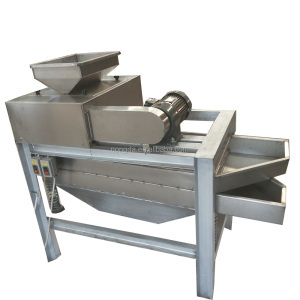 Product Details Show Product Display Product Details This nut cutting machine is mainly used in food processing industry : beans, nuts (such as peanuts, almonds, walnut, hazelnut, chestnut) different particle size materials chopped. The chopping blades cut the materials at certain speed, by adjusting the speed of conveyor, the materials would be chopped into different sizes. 3) The reciprocating speed of the cutter is constant, by changing the rotational speed of the conveyor belt, namely increase the number of shearing material received, so as to achieve the purpose of adjusting the particle size. 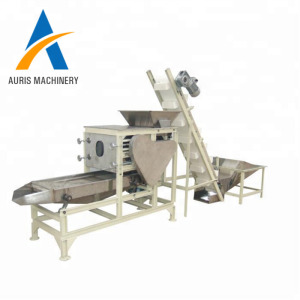 Professional Peanut Crushing and Grinding Machine: This machine is the special equipment for processing peanut powder and sesame powder. It has features of easy operation,hight output,no oil,etc. It has several models for choosing by the user. 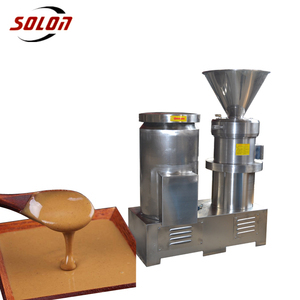 Semi automatic stainless steel colloid mill/ grinding machine for peanut butter, chilli sauce, ketchup, tomato sauce, sesame paste, rice milk, soybean milk etc. 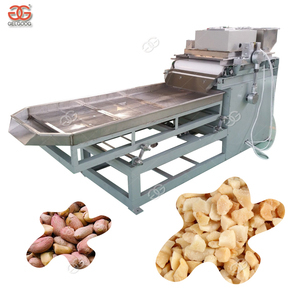 Widely used in small workshop, especially domestic workshop,supermarket also are popular among professional peanut processing industries. 2. Through high speed relative motion of Rotor and Stator, make the material get strong Shearing force, Friction and High mode Vibration. 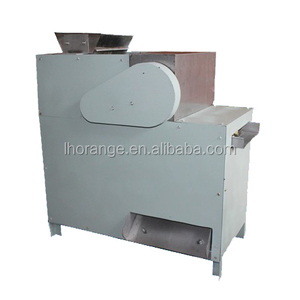 So our company developed this new model machine to process these high-oil nuts into fine powder. we are always be pleased to provide using support to clients. So we have won great popularity and reputation among our customers . Alibaba.com offers 3,107 peanut crushed products. About 5% of these are wood crusher, 1% are crusher. A wide variety of peanut crushed options are available to you, such as jaw crusher, cone crusher, and roller crusher. You can also choose from paid samples, free samples. There are 3,107 peanut crushed suppliers, mainly located in Asia. The top supplying country is China (Mainland), which supply 100% of peanut crushed respectively. Peanut crushed products are most popular in Africa, Southeast Asia, and North America. You can ensure product safety by selecting from certified suppliers, including 1,054 with ISO9001, 415 with Other, and 227 with ISO14001 certification.